Hello there crafties!! 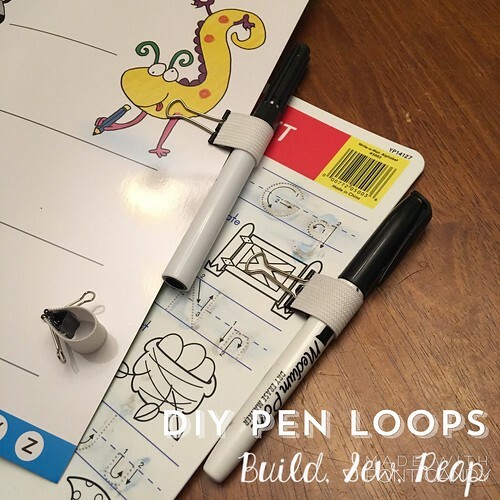 Last night I was looking for a way to attach my 5 year old's dry erase marker to his writing workbook when I came upon those great little self-adhesive leather tab pen loops. The idea is sound but in practice, I'm just not willing to drop $2 per tab to attach leather pen loops to my 5 year old's workbook. So I headed to pinterest and found some inspiration for my own (5 year old appropriate) pen loops. As a bonus, these can be used as bookmarks for a journal/calendar/day planner type thing too. Seen here: Dry erase pens attached to a workbook and a placemat. So here's a quick tutorial for you. 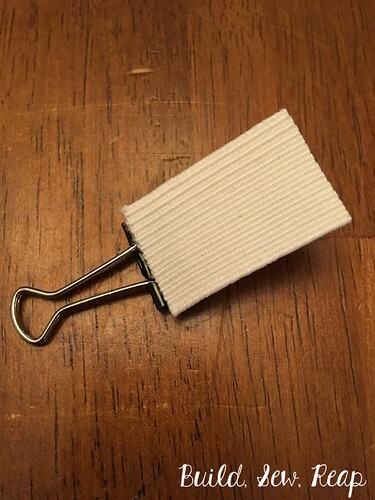 For this tutorial, I'm going to be making a holder for the slender grey pen pictured above and some white scrap elastic. 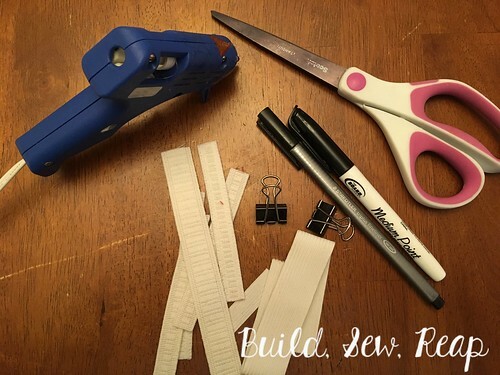 Just think of the fun you could have with colored elastic or even sparkly! 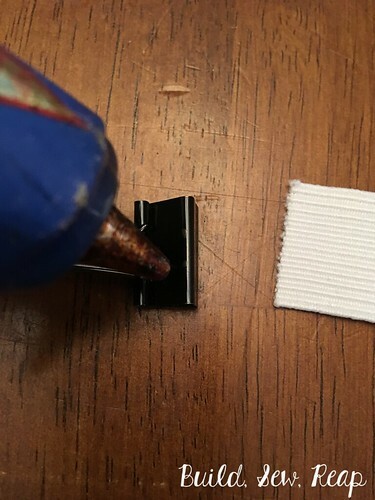 While holding the pen against the wide end of the binder clip, wrap the elastic from the skinny side of the clip, around the pen, back to the other side of the clip, and mark where you'll cut the elastic (honestly, I only marked it to show you how much shorter I cut my elastic, in non-tutorial versions, I just marked it with my thumb nail and made the cut). 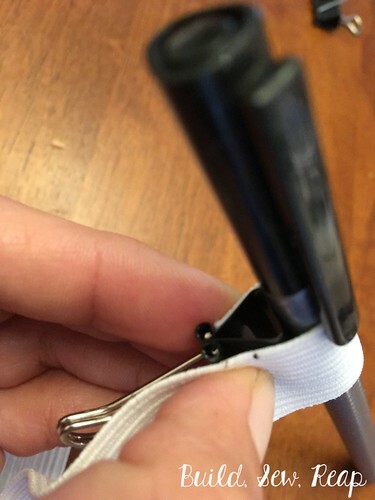 Cut the elastic with your scissors, set the pen aside, and use your hot glue gun to attach one edge of the elastic close to skinny edge of the binder clip. 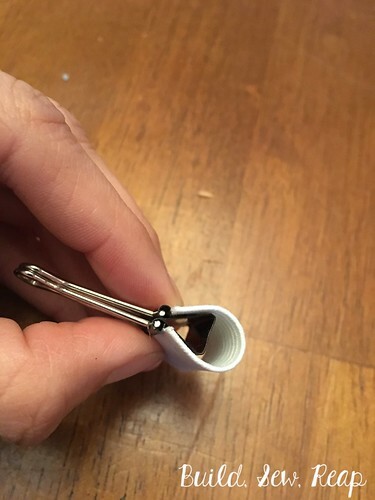 Now flip the clip over and wrap the other end around to attach to the opposite side. 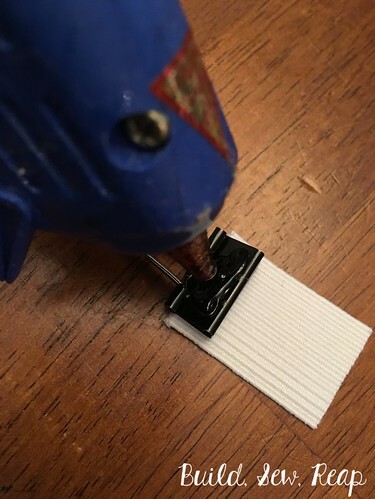 Hold it tight for a moment or two while the glue cools. And you're done. 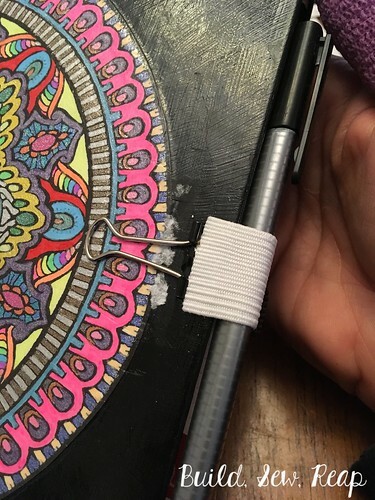 Clip it on to your favorite notebook/placemat/workbook and keep your favorite pen right where you need it.